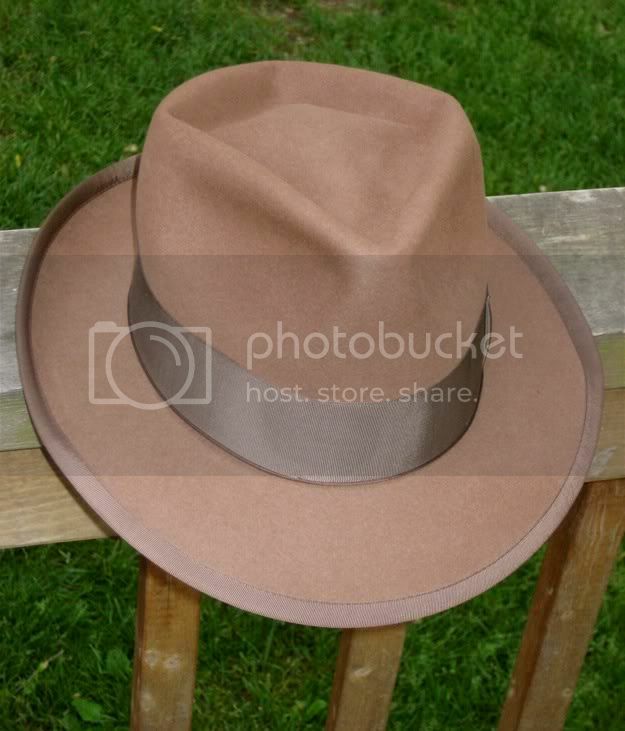 Discussion in 'Hats' started by jimmy the lid, May 28, 2009. 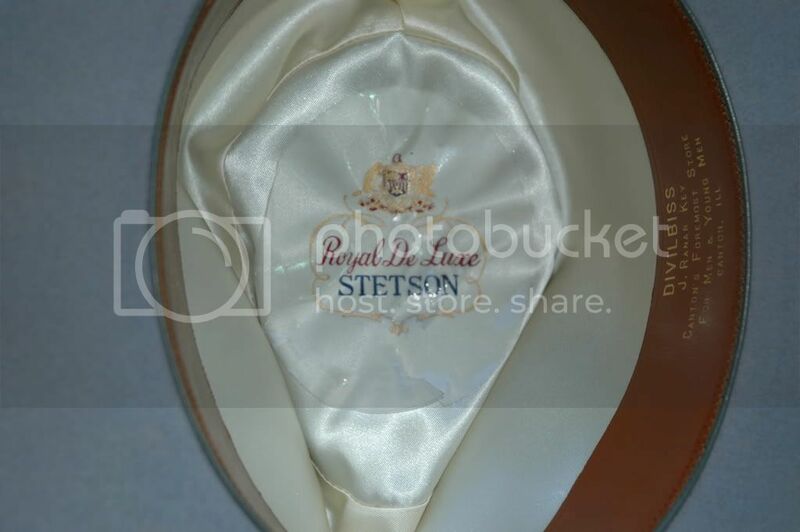 This Royal DeLuxe Stetsonian arrived today. It is in absolutely pristine condition. 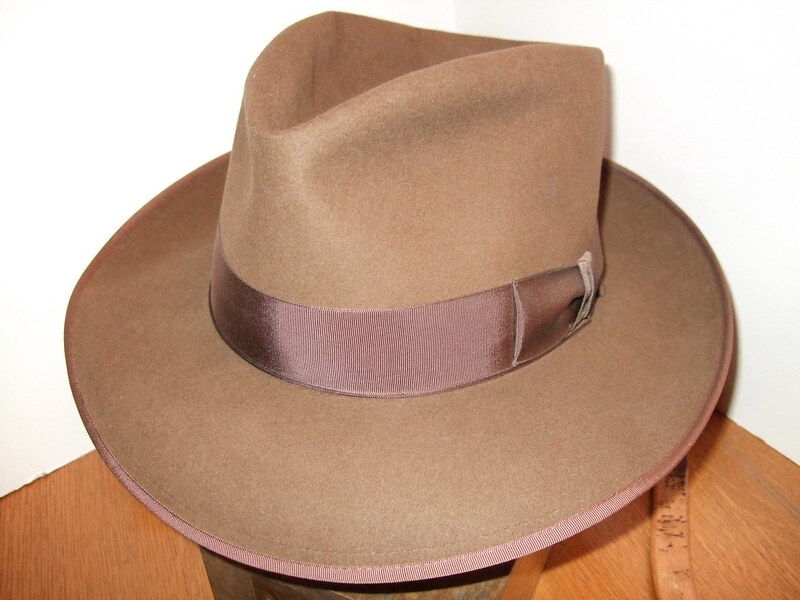 The felt is a rich shade of chocolate brown, with a matching edge binding -- complemented by a dark brown ribbon. 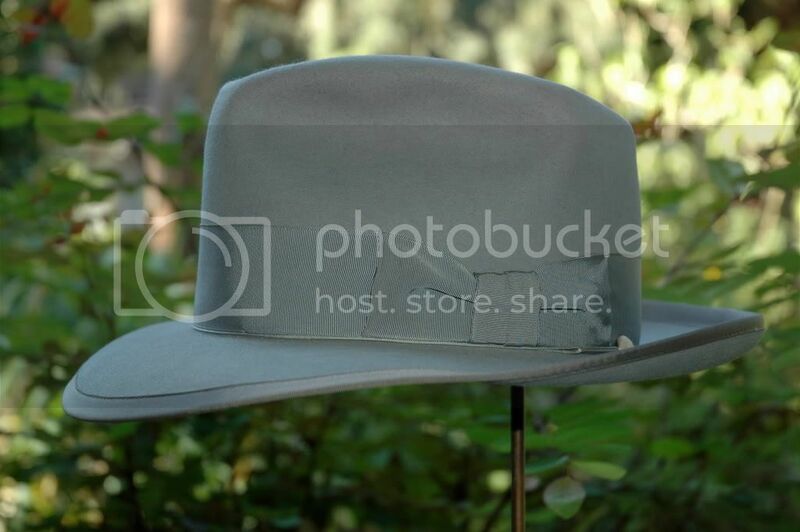 The lid is 5 1/2" open crown, and the brim is 2 1/2" wide. 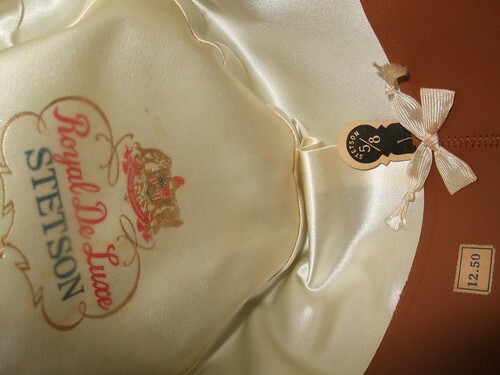 The oil silk liner protector is still intact. 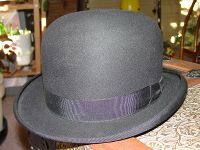 While the edge binding is 3/8" (like that on the Whippet), it is narrower on the underside of the brim, with a row of stitching (see photo below). 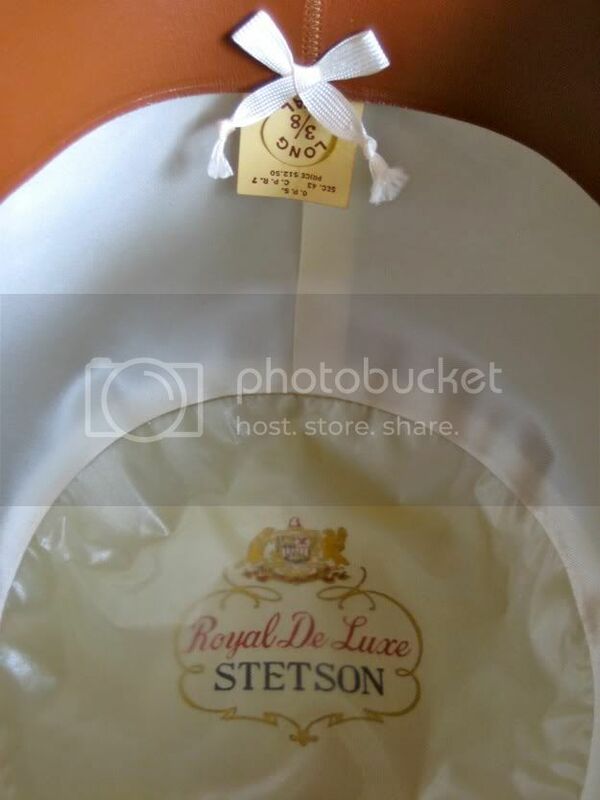 The tag indicates a price of $12.50. I would guesstimate this lid to date to c. 1950 or thereabouts. As I went to crease this lid, it whispered to me that it didn't want to be a teardrop. I followed where it led -- and wound up with a "diamond and cross" (at least, that's what I call this crease). It really feels right on this one. The Stetsonian went through some changes over the years, and I know there are at least two or three here on the Lounge (Harp Player Gene has a beauty). 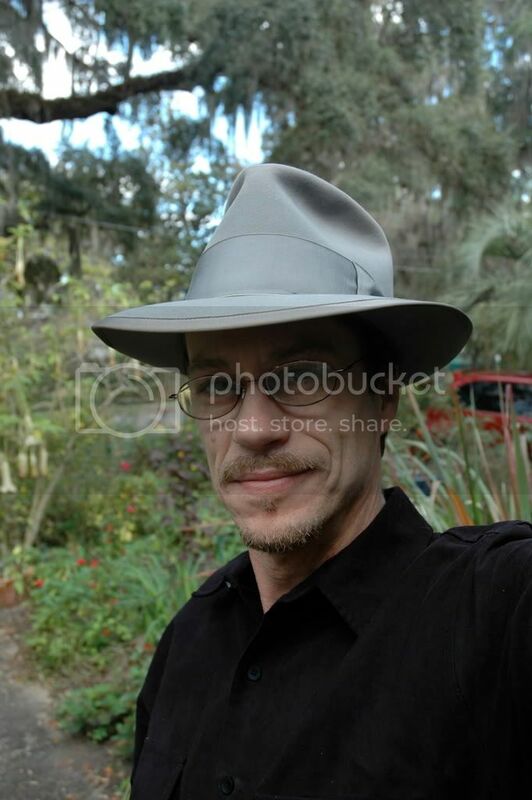 Hopefully, this thread can be a repository for any Stetsonians out there, along with related info. 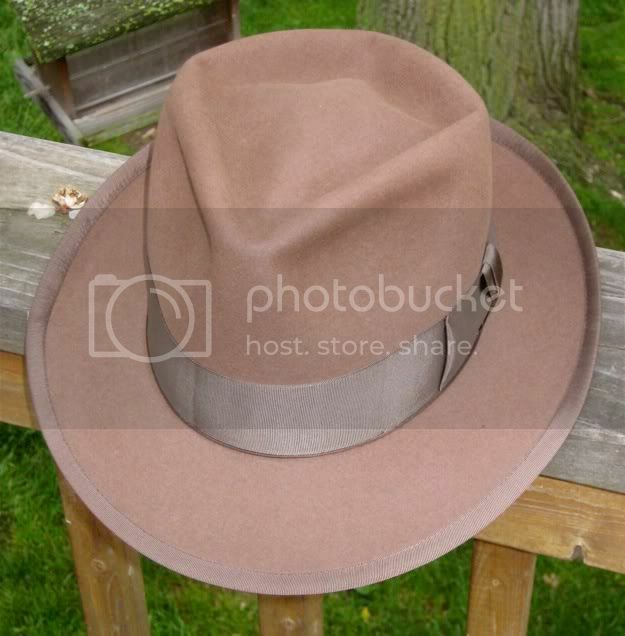 hatsRme, HatLoverGirl, deadlyhandsome and 3 others like this. 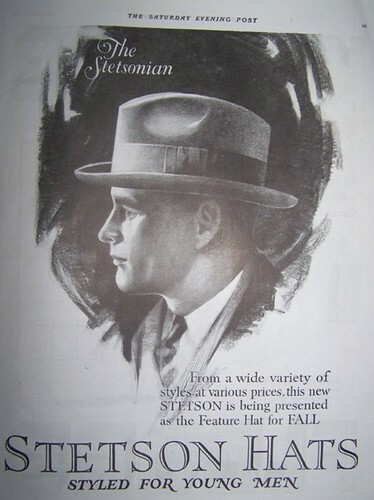 Thanks to Lefty for previously compiling these Stetsonian ads from over the years. Not a teardrop?! What have you done with Jimmy? Actually, looks great JTL. Hopefully more will come out of the closets. What's this? The Maestro makes a lumpy crease? - and a damn nice one too :eusa_clap! 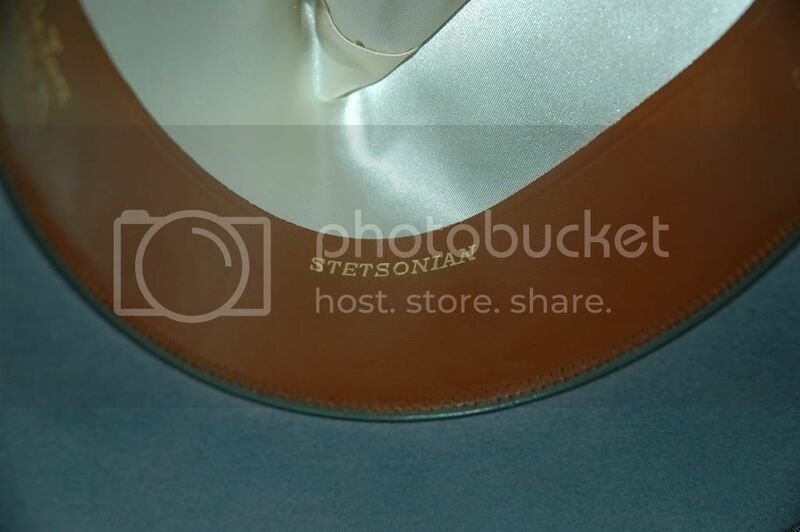 What a beauty, that Stetsonian, and thanks for the history lesson, JTL. Oooo-la-la, that is a gorgeous hat. And you're branching out into new realms of beautiful crease work. I liiiike it. I'll post pics of mine when Photobucket is behaving better. From a style standpoint, this lid is indistinguishable from a Whippet. 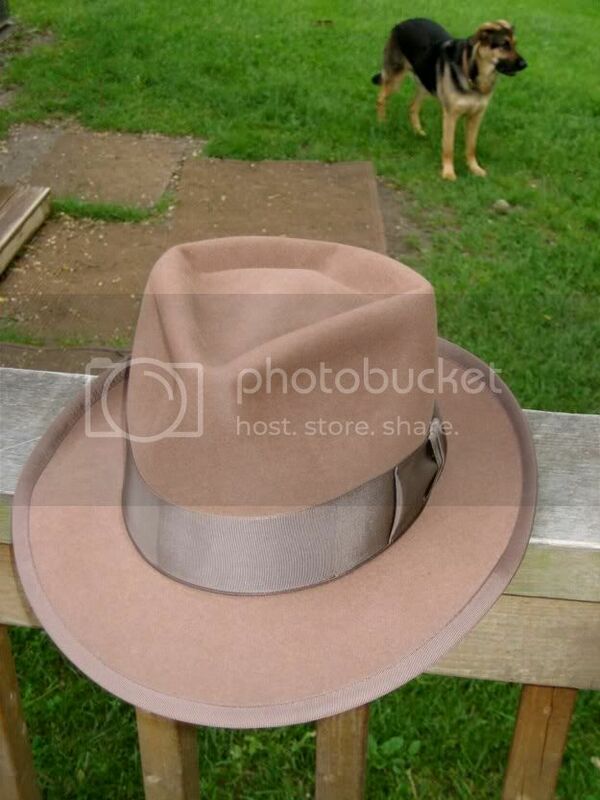 I dunno buddy; when I compare my Stets' to my Whippets the Stetsonian is bigger in every way. Binding is wider, crown is taller and brim is bigger. That's why I've never thought of mine as an ideal wearer for me. Because of its scale and my skinniness it kind of wears me, y'know? EDIT/ADDT'N: Y'know, my Stetsonian is much more of a match in its proportions to my Knox Tom & Jerry than anything else in my collection. Wow! 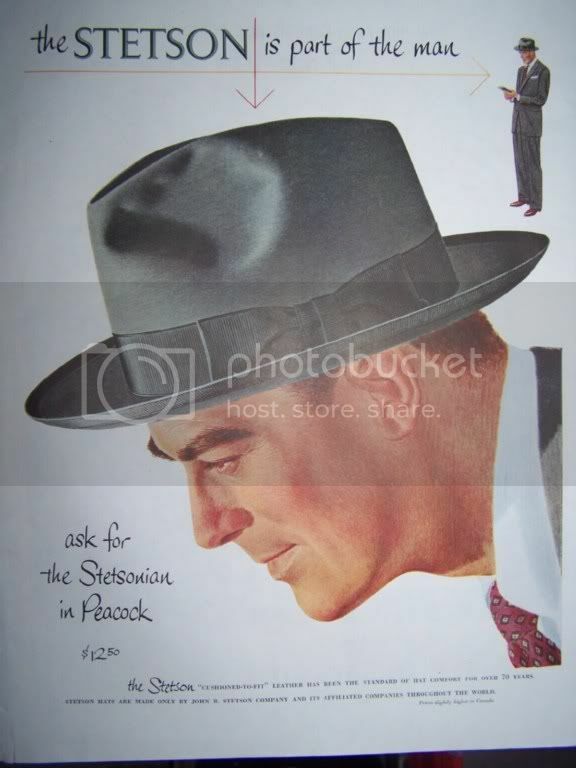 Stunning specimen of a hat. 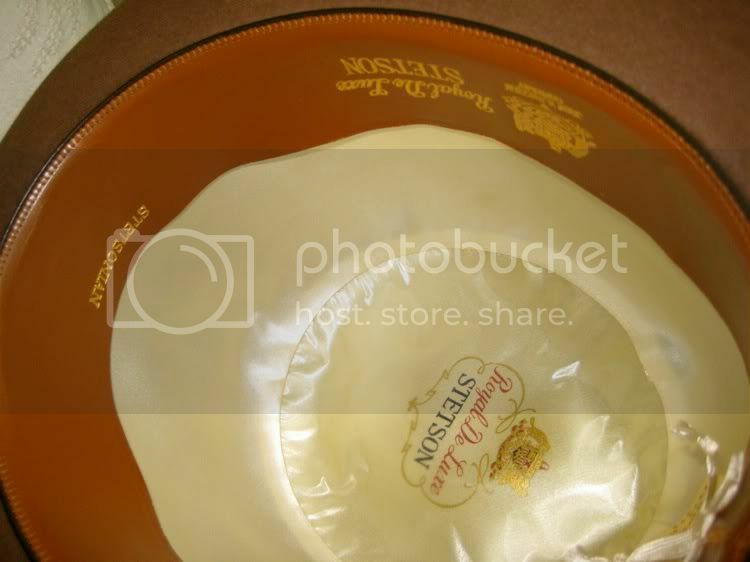 I always love to see such pristine lids like that. It's like getting a brand new custom to be proud of. M Hatman and Paladin111 like this. 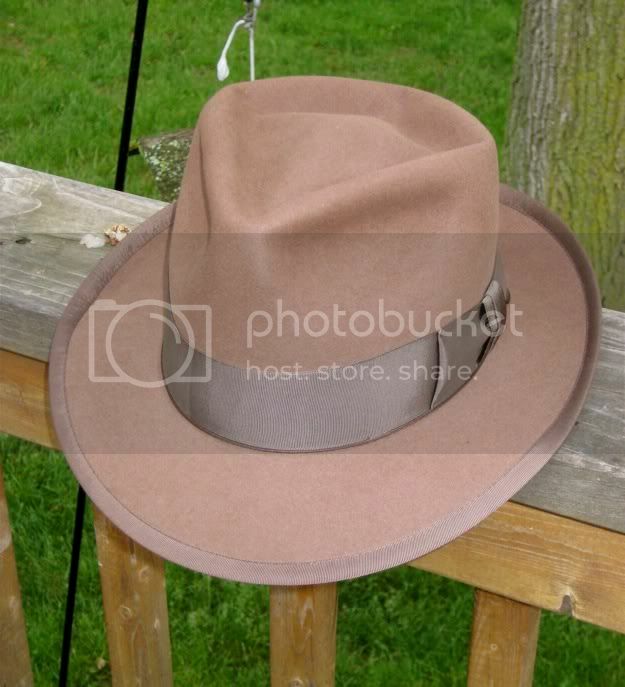 hatsRme and HatLoverGirl like this. Gene-Jimmy, those are beautiful specimens! They look like they are in immaculate condition and are real classics. Jimmy, that is a great crease on yours; you are the Chief for sure! Wow -- thanks, Rusty! Thanks for the many nice comments, gents -- as always, much appreciated! Thanks, Dan. 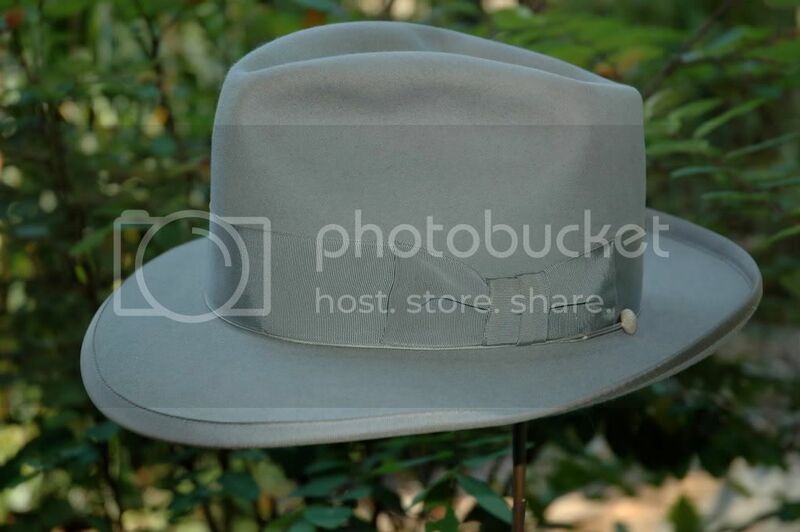 I completely agree with you -- if you are able to find a vintage lid in this kind of condition, it really is like getting a brand new hat. As I've said before, it's like getting in a time machine, walking into a hat store, and magically emerging with a "new" vintage lid! Oh, and good to see you posting again! 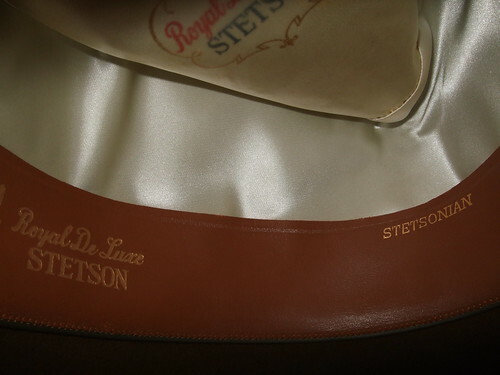 Gene -- that Stetsonian is just gorgeous. What a fantastic lid! Now, we're talkin'! That is fantastic. As I went to crease this lid, it whispered to me that it didn't want to be a teardrop. The felt on this hat is everything I'd want from a dress felt. Crisp, but not stiff, thin and dense. Nice rich brown. is the reverse of JtL's (and presumably HPG's). 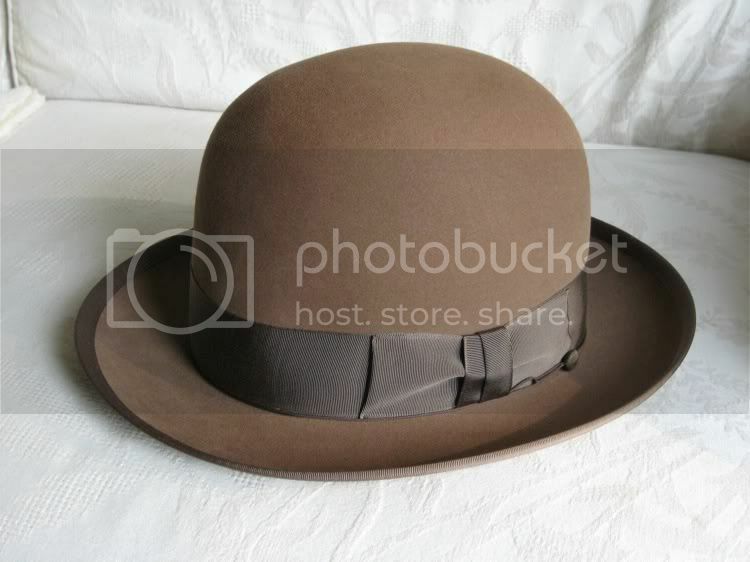 HatLoverGirl and M Hatman like this.